Many car manufacturers and dealerships run sales for Memorial Day. I'm not exactly sure how buying a car serves to honor fallen veterans but marketing people look for any excuse to drive sales. To entice you to go out an buy a car, you'll see special Memorial Day rebates, cash back and other incentives. 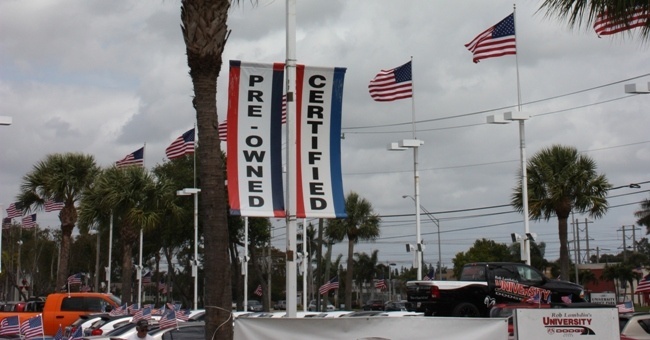 To further push you into a patriotic, buying mood, many dealerships decorate with American flags and banners. Some will even have a barbecue and give away free hot dogs and hamburgers. Don't get caught up in all of the excitement. Everything they do is designed to relax you and cause you to let your guard down. As with a lot of car advertising, during holiday promotions you have to pay attention to the fine print. Many times, certain incentives are only available on "select vehicles." There could be two identical cars parked next to each other on the lot and one qualifies while the other doesn't. What will typically happen is that they will sell the "select vehicle" before you get there. Although this advertising practice is misleading, it is legal as long as they make the proper statements in the fine print. Many Memorial Day sales are comprised of a special incentive package offered by the manufacturer. The most enticing offers are usually big rebates or cash back offers. While these offers can save you some money, you have to fight to keep your money. The dealer wants you to think that the rebate is what is giving you a good price. If the car you are looking at has a $25,000 MSRP and the manufacturer is offering $2,000 cash back, the dealer will try to convince you that you are getting a great deal and only paying $23,000. If you read our guide to buying a new car, you will learn to use TrueCar to find out what others in your area are paying. The price that you are targeting for your negotiation should be the price BEFORE manufacturer incentives. The rebates and cash back should not be considered part of the price. Think of it like your mom is offering to give you $1,000 towards your car (that would be nice). Her contribution doesn't make the price of the car lower. The final price that you agree to with the salesperson should go on the top line of the paperwork and any cash from the manufacturer should be subtracted down below. Another promotion that you will see offered are low finance rate specials. First of all, you should understand that these low interest rates are only available if you have very good credit. If your credit score is below 700, you are unlikely to qualify for the deal. Even if you do qualify, the dealer can use the low rate financing to play the cash flow shell game to rip you off on another part of the deal. Our complete guide gives you all the details about how the game works. Basically, they will try to use the special financing to turn you into a monthly payment buyer which is the last thing you want to be. Because the interest rate is low, it will lower the monthly payment. This result will let them bump up the price or lower the amount they give you for your trade in but focus you on the low monthly payment. Buying a car during a special promotion event is no different than buying one on a normal day. You must treat each aspect of the deal separately. Read our entire new car buying guide to learn the optimal negotiating strategy in order to get the best deal possible. The special offers should make your great deal even better. It is critical to have several dealers competing for your business. Start by visiting TrueCar. They will give you a guaranteed price certificate for one dealer that you can use as the baseline for your negotiation. 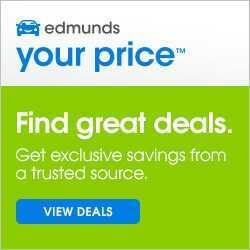 Trustworthy sites like CarClearanceDeals and Edmunds will get you additional quotes so that you will have the maximum number of dealerships competing for your deal.